The chief-commander of IRGC has urged countries to the south of Iran to cooperate with the Iranian military to ensure security in the Persian Gulf and the Strait of Hormuz. Major General Mohammad-Ali Jafari, the commander of the Islamic Revolution Guards Corps, made the remarks on Wednesday. 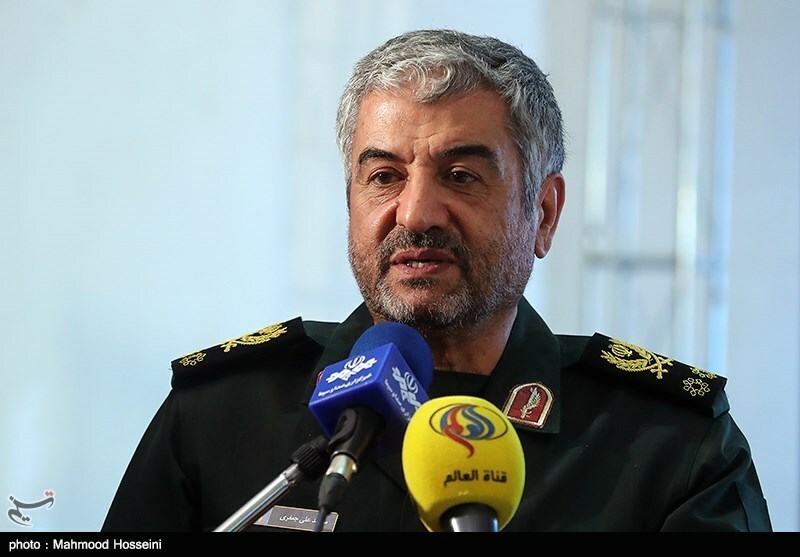 He also noted that he IRGC is the major provider of security in the two bodies of water, and that the IRGC’s Navy is fully prepared to provide security. “Today is the day … when good wins over evil,” he said. “The defence and security capability of the Islamic Republic of Iran is unique and known by everyone,” said the top commander. “The country owes this power to its devoted and diligent popular, Basij, IRGC and other defence and security forces, and we should appreciate it (this power),” he said. “The IRGC includes three specialized ground, naval and air forces in addition to the Basij (volunteer) popular resistance [forces], and given the importance of the Strait of Hormuz and the Persian Gulf to the south of the country as the main route to transfer energy from the region to other parts of the world, one of the main defence areas is the naval domain,” the top commander noted. “Through the years following the 1979 Revolution, the naval force has proved that it has been a major force to safeguard and ensure security in the Strait of Hormuz and the Persian Gulf,” he noted. The IRGC commander said the Navy’s muscle-flexing has served as a deterrent to the enemies.